What is Youth and Volunteer Program? The purpose of youth and volunteer program is to systematically engaged the youth of any society for the humanitarian services. Youth, which is the driving force of society, can easily face the challenges and also finds the solutions of these problems. The youth can easily respond in rehabilitation and reconstruction in the aftermath of floods, drought, fires, earthquakes and other natural and man-made calamities. By polishing their skills and make them prepare for a noble cause,create a sense of volunteerism in this large segment of society. This program recognizes the role of youth in saving lives and changing mindset which urges to educate, enable and empower young people to take active participation in voluntary activities. The main objective of the Youth & Volunteer program is “To develop and sustain motivated, organized and well-trained youth & volunteer corps, representing all segments of society to effectively participate in PRC programs and operations”. The PRC Youth and Volunteer program is to acknowledged the volunteers in line with the present challenges of recruitment and their retention. PRC is planning to recognize and strengthen volunteerism in all tiers i.e. National, Provincial and vulnerable community level. PRC emphasis is on improved quality, standards, capacities and volunteer’s retention by creating a welcoming and socially inclusive environment by providing volunteers with training, supervision, regular evaluation and recognition; development opportunities that include designing and improving the work in which they are involved; insurance protection, equipment and psychosocial support; and a supporting local structure relevant to the tasks that they carry out. Youth, being the biggest demographic group, along with the possible threat of becoming increasingly frustrated and violent, it is perhaps high time to address the youth of FATA. 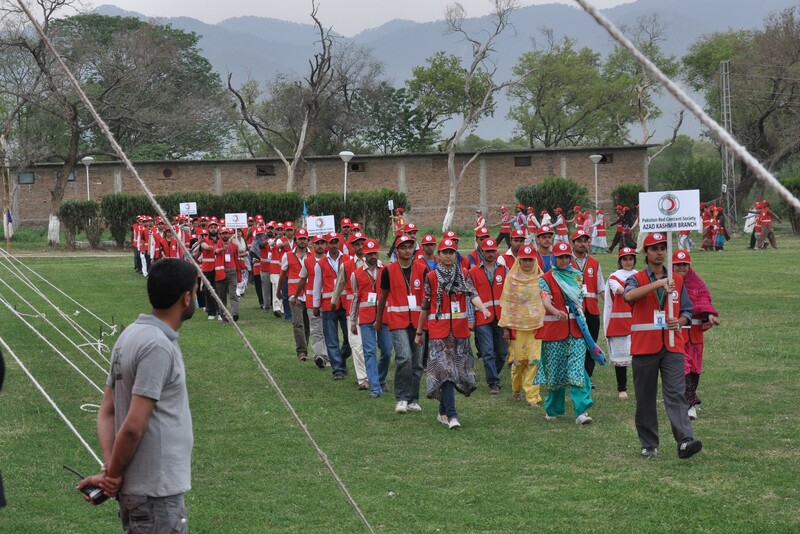 Keeping in view the need for addressing FATA youth problems and requiring a strategy to involve and utilize this great potential, the Pakistan Red Crescent FATA has taken an initiative to chalk out the Youth activities. The goal of the Youth and Volunteer program in FATA is “To improve access of the FATA youth to potential livelihood support interventions for mainstreaming them in the nation building efforts and became the first relief responders in any type of disasters in this area”. Youth and Volunteer PRC – FATA was also established in July, 2009. From that time the department has trained the volunteers in trained in First Aid,Disaster Management, RFL, Communication and in Youth Leadership. The following table shows the Youth and Volunteer activities in 2016 only.